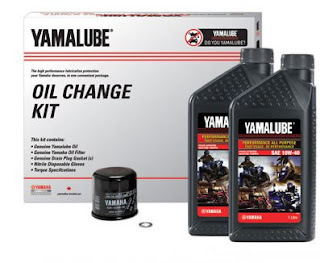 With a Yamalube® Oil Change Kit, giving your legendary Yamaha motorcycle the protection it deserves is a snap! The kit is engine-specific and includes everything you need; oil, oil filter, gloves and the required seals. No need to look-up models or part numbers, just order this kit! Use specially formulated motorcycle oil for improved performance and cleaner engine. We do not recommend automotive car oil for motorcycles. Kits are in stock for all Yamaha models. We ship.